The annual course in advanced optical microscopy at the Plymouth Laboratory of the Marine Biological Association is one of the most important in the world. 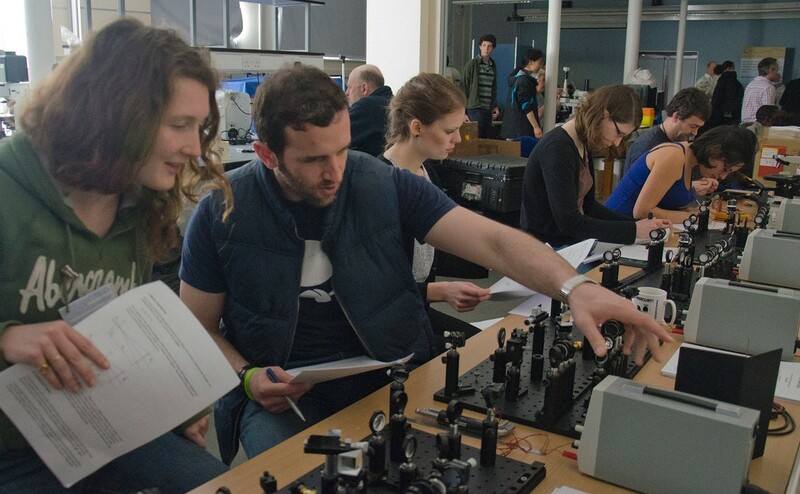 The ten days are unusual in combining basic training in optics and practical work with optical benches, with an intensive schedule of lectures in topics ranging from bioluminescence to laser physics. Every year microscope equipment exceeding 2 million pounds in value is brought into the Plymouth Lab by the manufacturers and is actually used by the students rather than presented as a sales demonstration. Unsurprisingly, the course is regarded throughout Europe as the best source of training for new microscope systems. The Company of Biologists is one of several organisations that provides funding – including FEBS, the Wellcome Foundation and EMBO – but some of this funding puts restrictions on the students who are able to attend. Crucially the bursaries provided by The Company of Biologists make it possible to select students entirely on merit, including students from countries not supported by EMBO, including Russia, Myanmar, Taiwan and Turkey. Our support has helped ensure that the world benefits from this exceptional course and that exceptionally bright students are supported – whatever their circumstances. George Bidder III, the founder of The Company of Biologists, would have approved. He was also President of the Marine Biological Association and it is fitting that these two UK organisations should continue to be linked in supporting the work and careers of exceptional biologists.